For years, Droege & Associates, P.C., CPA has been providing quality, personalized financial guidance to local individuals and businesses. Our expertise ranges from basic tax management and accounting services to more in-depth services such as audits, financial statements, and financial planning. Droege & Associates, P.C., CPA is one of the leading firms in and throughout the area. By combining our expertise, experience and the team mentality of our staff, we assure that every client receives the close analysis and attention they deserve. Our dedication to high standards, hiring of seasoned tax professionals, and work ethic is the reason our client base returns year after year. Our mission is to help clients maintain financial viability in the present, while taking a proactive approach to achieve future goals. This requires open communication to reach an understanding of our clients' needs through research and sound analysis. Droege & Associates, P.C., CPA is dedicated to meeting these goals with high standards of excellence and professionalism. We have been a staple of the area's business community for years, and pride ourselves on the level of esteem we have earned. Our dedication to hard work has earned the respect of the business and financial community in and around the area. We believe this to be a direct derivative of our talent and responsiveness to our client base. Whether you are a current or prospective client, rest assured that individuals and businesses who choose Droege & Associates, P.C., CPA receive competent and timely advice. Dan considers one of his greatest professional satisfactions in his accounting career is assisting his clients in understanding their true financial situation, and developing strategies to improve it. Dan is proud to serve the firm's clients in Jerseyville and surrounding areas, and truly appreciates the consistent client and community support. 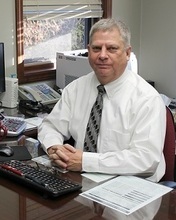 Dan originally purchased what is now known as the Droege & Associates, CPA firm in December 1990 from Joel Elam, CPA. He initially joined the Elam firm which was located in Bethalto IL in 1985 and from that point on he has helped develop and grow the firm now located in Jerseyville. Craig explains his career this way; "To me, the public accounting field is very rewarding in that we get to help many different types of people in many different industries reach their personal and financial goals, not to mention gaining friendships along the way." 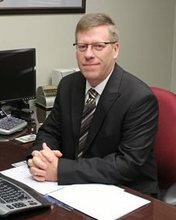 Craig is a 1988 graduate of SIU Carbondale, has been employed in the accounting field for over 20 years (23 as a CPA) and has been with Droege & Associates since 1996. Craig's current and past community service includes the Supervisor of English Township (20+ years), Treasurer of : Jersey County Chamber of Commerce, Jersey County Economic Development, Grimes Neely Cemetery, and Fieldon United Church of Christ. His hobbies include: hunting, fishing, golf and spending time with his family. 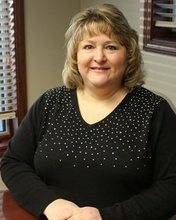 Julie joined Droege & Associates as an assistant in December 1999 while pursuing her accounting degree at SIU Edwardsville. She received her BS in Accountancy in 2002, and has worked at Droege & Associates as a full time accountant since graduating. 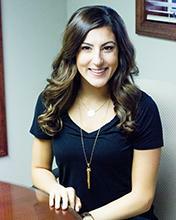 She enjoys helping clients with all of their tax and accounting needs. She grew up on her family's farm in Jersey County and currently lives in Dow with her husband, Jeremy, and their three children, Jay, Josie, and Jerra. 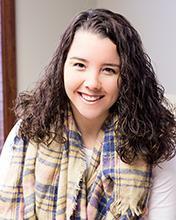 Clara joined Droege & Associates in September 2016. She is currently studying at Lewis and Clark Community College and will graduate with her Associate’s degree in the Spring of 2017. She will continue her studies at Lewis and Clark through the Missouri Baptist Accounting Program. She enjoys singing and playing her guitar, boating, shopping, and most importantly, spending time with family and friends. Graduated with Master’s in Accountancy in December 2016, plans to complete her CPA title in 2018. Grew up and still lives in Jerseyville with husband, Craig, and 3 pets. My hobbies include spending time with family and friends, camping, boating, and fishing. Jenny joined Droege & Associates in July 2017. She graduated from Southern Illinois University Carbondale in 2017 with a BS in Accounting. 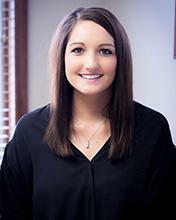 She is currently pursuing her Masters of Science in Accounting at Maryville University and plans to sit for the CPA exam upon completion of the required courses. She grew up in Batchtown, IL and now lives in Jerseyville, IL. She enjoys reading, swimming, and spending time with family and friends. 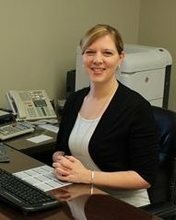 Carrie joined Droege & Associates in January 2005 as a part-time processor during tax season, and in 2012 joined all year as processor/secretary. In November 2013 became full-time as the payroll clerk. Carrie currently lives in Dow with her husband Greg and 2 children, Macie & Thomas. She likes to camp, make baskets, and spend time with her family and friends.